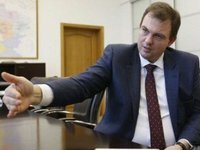 National energy company Ukrenergo supports the switch from feed-in tariffs to the auction tool for renewable energy facilities with a capacity of 10-15 MW and more, Ukrenergo Head Vsevolod Kovalchuk has said. "The auctions that should be introduced are obligatory. They should concern only large projects. In Ukraine these are project from 10 to 15 MW," he said at a roundtable in Kyiv on Tuesday. In turn, Head of the National Commission for Energy, Housing and Utilities Services Regulation (NCER) Dmytro Vovk pointed out the importance of developing "green" generation via the introduction of the tool of PPA (Power Purchase Agreements). He recalled that the commission has made all the required decision on the issue, although the Uriadovy Kurier newspaper has not yet published them for a long period of time and hinders the development of renewable energy.